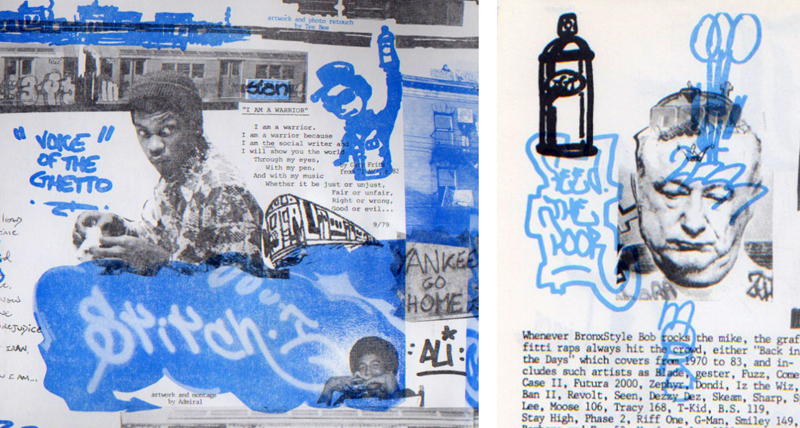 International Graffiti Times (IGTimes), David Schmidlapp, Art Director, full issue, Issue 5, 1985. 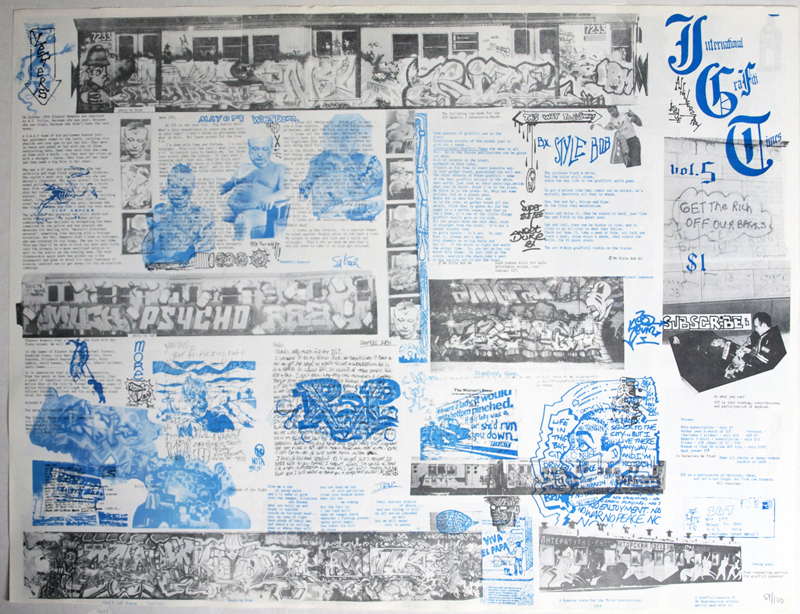 Side A: two-color offset on mat paper; Side B: two-color offset on mat paper, 17 x 22 in. This is the complete issue #5. 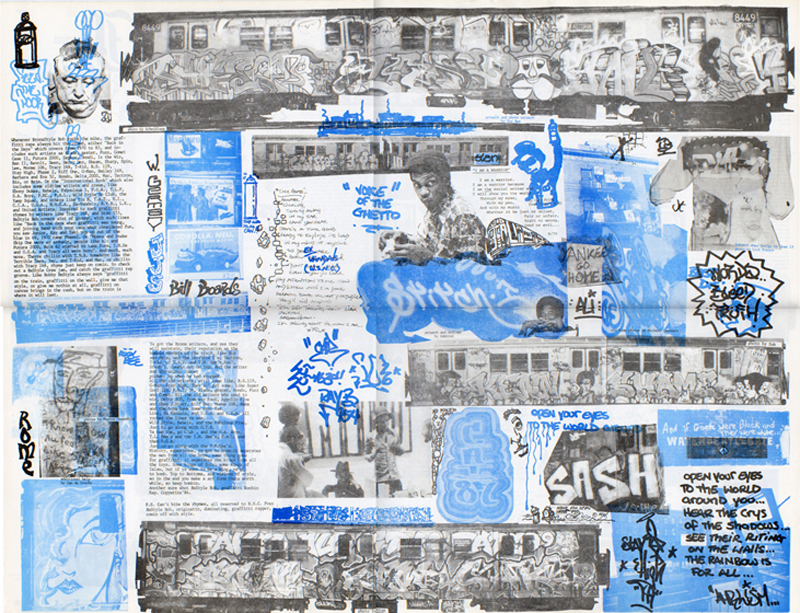 In setting the initial style of IGTimes, David Schmidlapp was influenced by counter-culture publications like punk zines, as well as the overlap and density of subway art.